Published by the American Geophysical Union as part of the Geophysical Monograph Series, Volume 181. 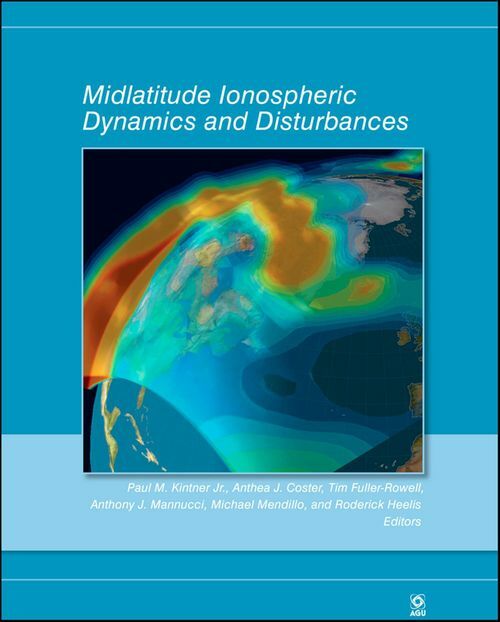 Filling the need for a 20-year lag in substantial consideration of the midlatitude ionosphere, this volume focuses on work that takes advantage of GPS and UV imaging from satellites over the past decade, two methods that have profoundly transformed our understanding of this stratum of the atmosphere. Its interdisciplinary content brings together researchers of the solar wind, magnetosphere, ionosphere, thermosphere, polar and equatorial ionospheres, and space weather. Modeling and assimilative imaging of the ionosphere and thermosphere show for the first time the complex and global impact of midlatitude ionospheric storms. The editors invited the leading experts in the following areas to contribute the chapters herein: Characterization of Midlatitude Storms Electric Field Coupling From the Heliosphere and Inner Magnetosphere Thermospheric Control of the Midlatitude Ionosphere Ionospheric Irregularities Experimental Methods and New Techniques These themes were chosen to create a path for understanding the midlatitude ionosphere. They continue to be largely valid and represent a coherent division of the subject matter. They will be critical for understanding space weather during the upcoming solar maximum. This book was inspired by the Chapman Conference of the same name held January 2007.